Last night I saw Denis Villeneuve’s ‘Prisoners’ at the Moonlight Cinema in the Melbourne Royal Botanical Gardens. The weather was pleasant, if a little bit cool, I went with a sizable troupe of people, we all met early in the evening to share a picnic dinner and settle into a good spot. 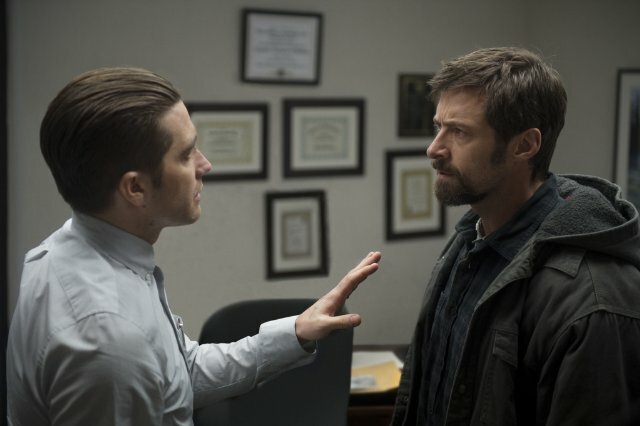 The story follows Keller Dover (Hugh Jackman) and Detective Loki (Jake Gyllenhaal) as they try to recover Dover’s daughter, Anna who was abducted, along with her friend Joy, from a seemingly quiet woods town on Thanksgiving. The basic premise of the film appears to be exploring how far is too far, and does the end justify the means. Dover is understandably torn up about what might be happening to his daughter and is desperate to get her back as quickly as possible, starts to take matters into his own hands. The first thing I should probably tell you all is that this is an intense film. It’s morality is purposefully unclear and as such you can’t trust your feelings for any of the characters. It could be described as a character driven film, rather than a plot driven one. The plot appears to be fairly simple and much of the tension of the story is carried by the way that the characters behave. There are a few plot twists and a few unexpected reveals along the way; I guessed a few of them but not all, which is always a pleasant surprise. Given it’s focus on character on of the most striking and impressive features of the film were the performances of the two lead actors. Both Hugh Jackman and Jake Gyllenhaal were brutal and beautiful in the way they showed their characters’ painful journeys. These two men, Dover and Loki, are flawed, suspicious, angry, and really only satisfied when they are in control of everything around them. Neither of them can really manage their emotions on a deep level and therefore tend towards sudden violent outbursts. Although these characters are intensely similar in many ways, and are both on the same side, their relationship is adversarial. Dover believes that Loki is incompetent and is not doing enough to get his daughter back, while Loki believes that Dover’s judgement is impaired by his fear. The supporting cast should also get a mention for their admirable performances. In particular Terrence Howard, who plays Fanklin Birch, the father of the other missing girl, Paul Dano, who plays Alex Jones, one of the suspects, and Melissa Leo, who play Holly Jones, Alex’s aunt. It’s hard to describe why these actors deserve a mention without spoiling some of the plot twists, but suffice to say they contribute meaningfully to the ambiguity over what’s right. 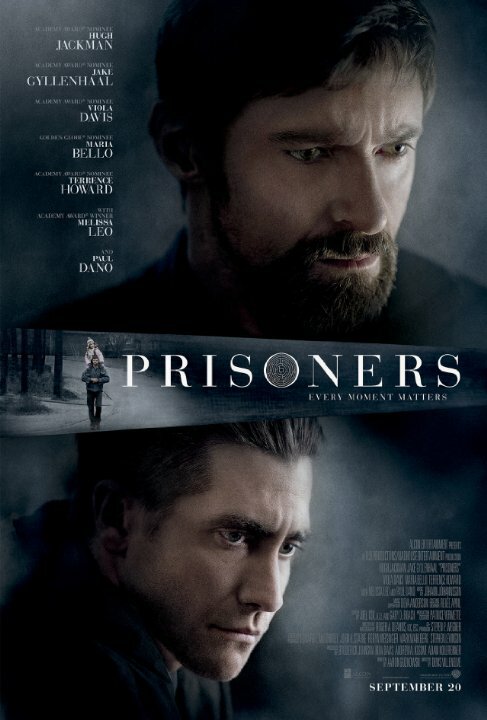 ‘Prisoners’ was written by Aaron Guzikowski and unlike my first guess was not adapted from another medium (e.g. a novel). It’s his second feature film, according to IMdB. He has said in interviews that revenge is like a river; that the very act of taking vengence for a wrong against you changes who you are on a fundamental way. I think this is the raison d’etre of the film, to explore what happens when you justify doing something that you would otherwise condemn. One particular line that sticks out from the film, from Dover, is ‘he’s not a person anymore’, which rung a lot of alarm bells in my head. This is the argument that has condoned generations worth of mistreatment of other human beings; from the Holocaust to the Indigenous Australians to the slave trade. The psychology of stripping away someone’s humanity like that is extremely powerful. Finally, the cinematography by Roger Deakin, whose other work includes ‘No Country for Old Men’, ‘Skyfall’, ‘A Beautiful Mind’, ‘The Big Lebowski’ and ‘The Shawshank Redemption’, was excellent. Each shot was constructed to add to the emotionality of the scene, the colours were very muted throughout which added to the feeling of desolation and the coldness. The bleak winter along with the desperation of the characters was echoed through the lens. This is a film that really leaves you wondering what you would have done in that situation. It is thought provoking and emotionally difficult. It also has an atypical ending which did not resolve everything and which left the audience unsatisfied. Indeed the audience at the Moonlight Cinema, who had been incredibly silent throughout the two and a half hour film, were audibly exasperated when the credits rolled. Overall, I think this film did a very good job of holding tension throughout, of building emotional attachment to characters and of manipulating the audience to feel conflicted about the events. I give this film 3.5 out of 5 stars.